Released on: October 6th, 2015. 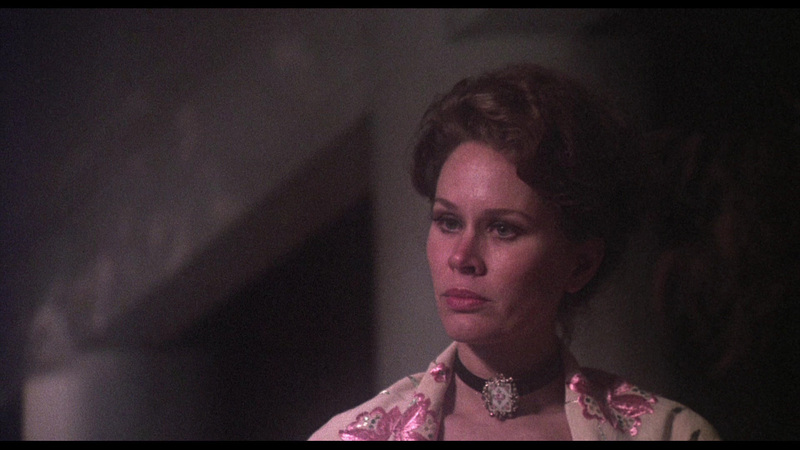 Directed by Dan Curtis, the man behind Dark Shadows, 1976’s Burnt Offerings follows a couple, Ben Rolf (Oliver Reed) and his wife Marian (Karen Black), as they embark for a summer vacation in the country with their son David (Lee Montgomery) and Ben's Aunt Elizabeth (Bette Davis) in tow. To facilitate this, they wind up renting a huge old mansion out in the middle of nowhere. The place was offered to them by brother and sister Arnold (Burgess Meredith) and Roz Allardyce (Eileen Heckart) at a price too good to pass down, but with some caveats – they’ve got to take care of the place on their own while they’re residing there, both inside and out. 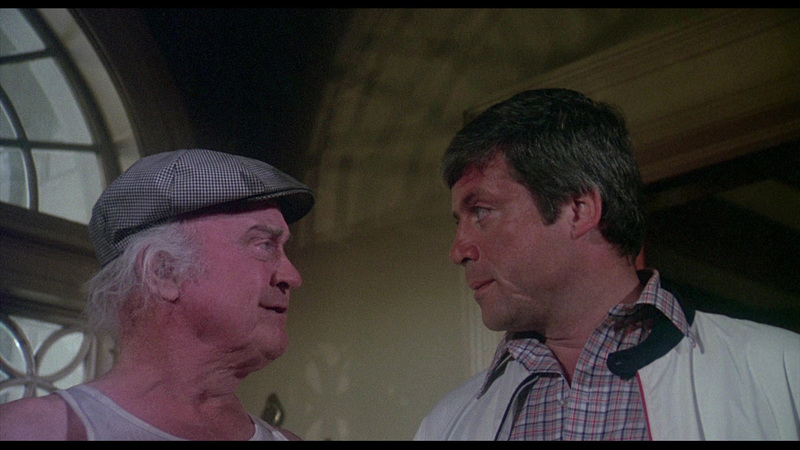 Based on the novel of the same name by Robert Marasco, Burnt Offerings is a little on the slow side but the good more than certainly outweighs that bad here. If the pacing isn’t perfect an the plot maybe a little bit on the predictable side, Curtis more than makes up for that with some excellent scenes of palpable and very honest tension while at the same time milking some great performances out of a very strong cast. Reed lends his impressive screen presence to the picture in a big way and while he’s restrained here compared to some of his other more expressive roles he’s great in the part. Karen Black is strong here too, playing the wife who starts to obsess over the house in unhealthy ways with a good bit of conviction. 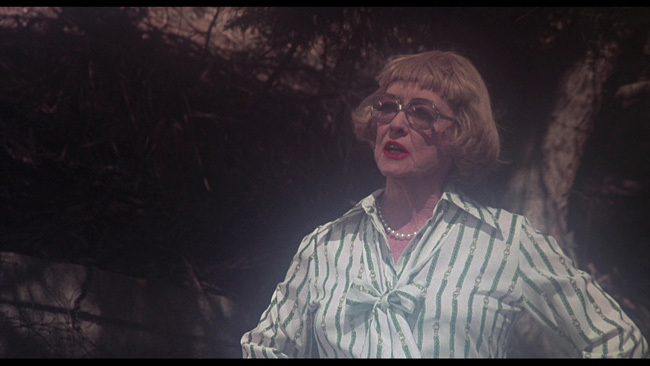 Bette Davis is underused here but she’s good in the film, cast against type as she is – those expecting her to play the nasty, catty woman she’d been typecast as by this point in her career might be surprised to see her in an understated and unaffectedly sympathetic role. Burgess Meredith and Eileen Heckart are also good here in their parts. The house itself makes for a great location to set a horror movie in. It’s large and shadowy and decorated with the kind of antiquities that you would expect a creepy old house to be decorated in. As the film progresses to its finish the place takes on a rather ominous feel. 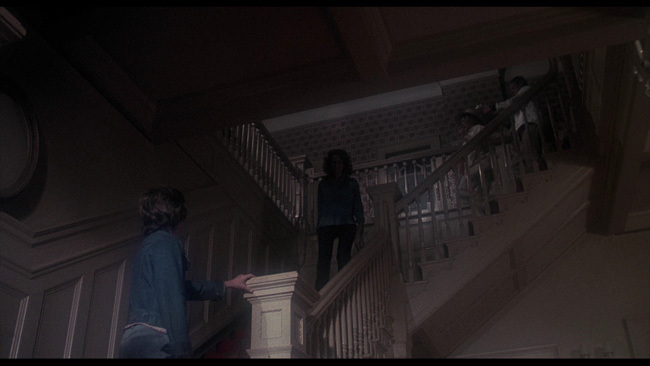 If in many ways this is a traditional haunted house film that doesn’t do a whole lot to expand on the tried and true formula, so be it – it’s done very well and it’s still a creepy picture. 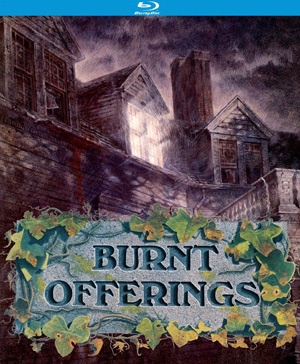 Kino’s Studio Classics line brings Burnt Offerings to Blu-ray in an AVC encoded 1080p high definition transfer framed at 1.85.1 widescreen and it offers a pretty significant upgrade compared to the previous DVD version (which looked great for its time but which is now over a decade old). Detail is much stronger here and color reproduction seems spot on. There are a few spots where there could have been a bit more cleanup applied but the print damage that does show up is minor. Compression artifacts are a non-issue and there’s no evidence of any noise reduction or edge enhancement. We also get really good black levels and nice, accurate looking skin tones and texture here too. Audio chores are handled by an English language DTS-HD Mono track. No alternate language options or subtitles are provided. There’s good clarity here, nice range and balance and at times some noticeable depth. There are no problems with any hiss or distortion to note. 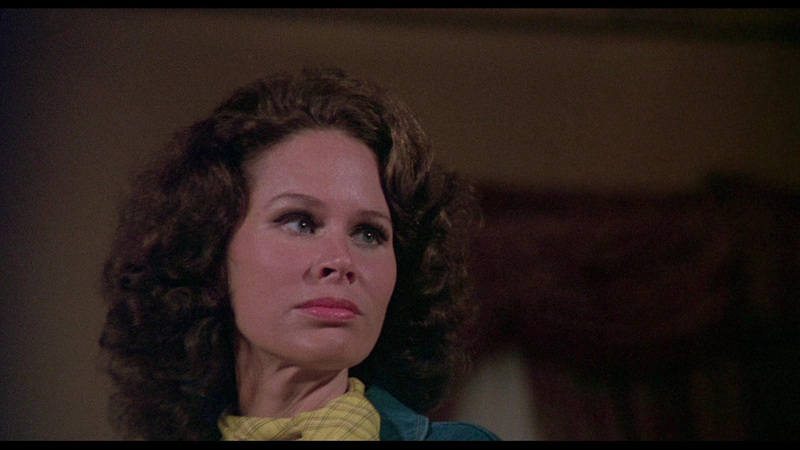 The extras start off with an audio commentary from Dan Curtis, Karen Black and co-screenwriter William Nolan that was originally recorded for the old MGM DVD released back in 2003. This is a pretty enjoyable discussion with each of the three participants getting on quite nicely. They talk about Reed, of course, as well as Davis and Meredith and share some interesting stories from the shoot. They also talk up the different characters and scenarios seen in the film, discuss the locations and atmosphere of the film and quite a bit more. From there we move on to the featurettes, the first of which runs just under eight minutes and is entitled Anthony James: Acting His Face. 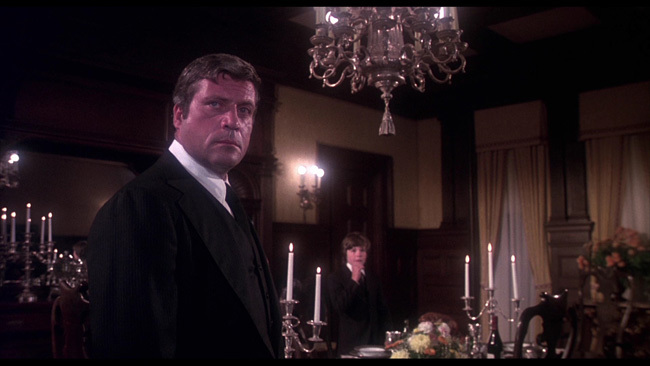 Here the actor talks about the different roles he’s become known for over the years and what it was like working with some of the more infamous players involved in Burnt Offerings. Blood Ties: Lee Montgomery On Burnt Offerings is a sixteen minute interview in which the actor recalls auditioning for Curtis, his love of horror movies and his relationships with Reed and Black who he speaks quite fondly off. 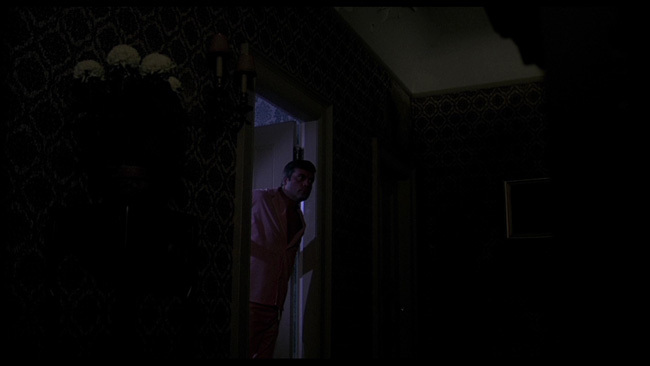 From The Ashes: William F. Nolan On Burnt Offerings spends thirteen minutes in which he describes how he got this gig through Richard Matheson in a roundabout sort of way, how some had an extreme dislike of working with Reed, his thoughts on the screenplay and on the finished film itself. Aside from that we also get a Trailers From Hell piece for the movie, the original theatrical trailer, a still gallery, static menus and chapter selection. Burnt Offerings remains a pretty riveting watch, a smart and sometimes very subtle take on seventies supernatural horror performed by some excellent cast members under the direction of someone who clearly had a knack for horror stories. Kino’s Blu-ray improves on the past MGM DVD release in every way, carrying over all of the extras and adding some new ones and presenting the film in a very strong presentation.